Analyse samples – State-of-the-art microanalyses to get out the most of natural and experimental samples. 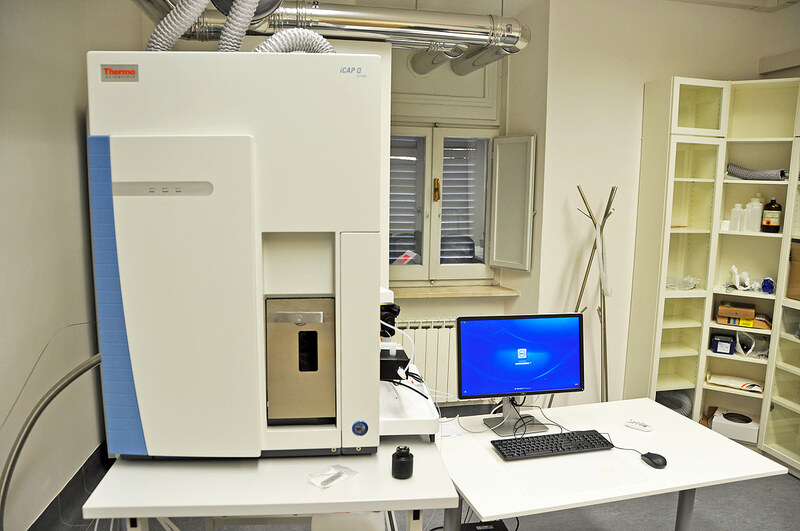 Laser Ablation Inductively Coupled Plasma Mass Spectrometry (LA-ICP-MS) is widely used as a powerful micro analytical technique for solid sample analysis in a variety of scientific fields including geological, biological, archaeometrical, environmental, nuclear and metallurgical sciences. Within an ‘ablation cell’ an amount of matter is extracted from the sample focusing a laser beam on its surface. The energy provided by the laser is absorbed by the sample resulting in vaporization and generation of aerosol which is subsequently transported by a ‘carrier gas’ through tygon tubes into the ICP-MS instrument. Here the sample is ionized by the ICP-torch and analyzed by the Mass Spectrometry instrumentation. We routinely analyze Silicate Minerals and glasses with lateral resolutions ranging from less than 20 micron to more than 80 micron. Elements range from Sc to U including V, Cr, Ga, Rb, Sr, Y, Zr, Nb, Cs, Ba, REEs, Hf, Ta, Pb and Th. 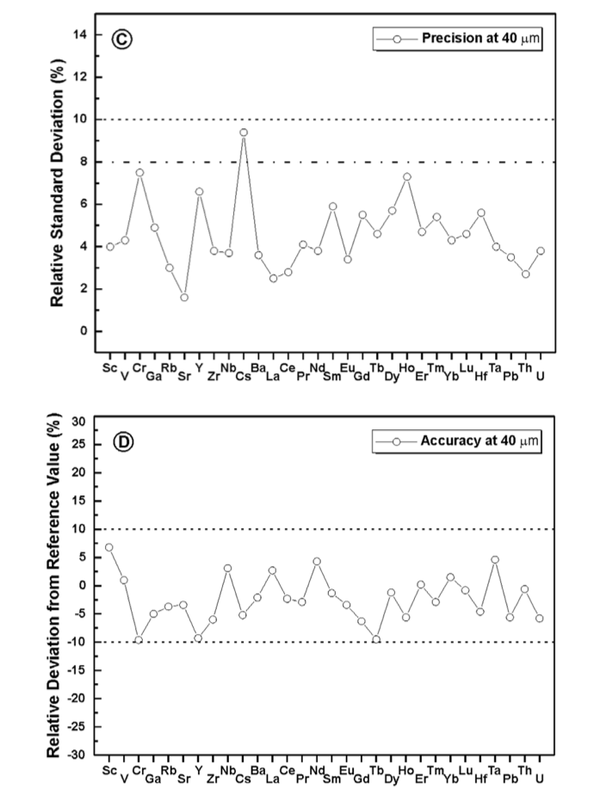 Precision (expressed as relative standard deviation) and accuracy (expressed as relative deviation from the reference value) are generally better than 10%. Data reduction is performed on the time-resolved signals by carefully selecting homogeneous portion of background and signal intensity. Petrelli M., Perugini D., Alagna E., Poli G. & Peccerillo A . 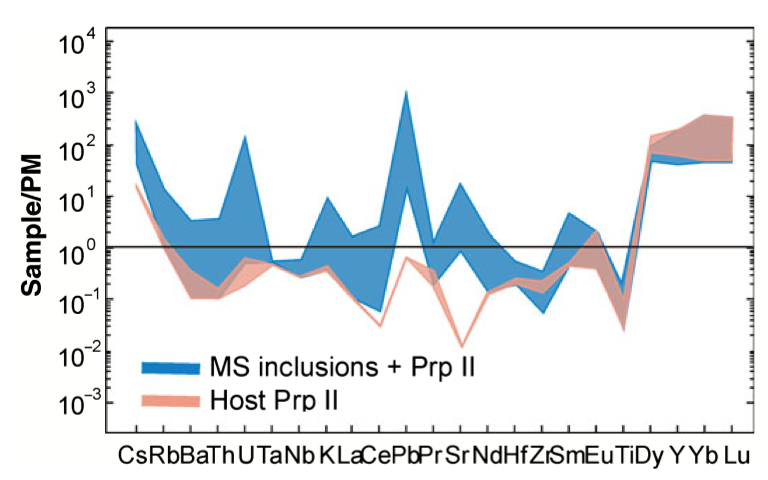 (2008) – Spatially Resolved and Bulk Trace Element Analysis by Laser Ablation – Inductively Coupled Plasma – Mass Spectrometry (LA-ICP-MS), Periodico di Mineralogia, 77 (1), 3-21. Petrelli, M., Caricchi, L., Ulmer, P., 2007. Application of High Spatial Resolution Laser Ablation ICP‐MS to Crystal‐Melt Trace Element Partition Coefficient Determination. Geostandards and Geoanalytical Research 31, 13-25. We are currently working on melt and multiphase inclusions. Exposed melt inclusions are analysed using the same analytical protocols used for trace elements on mineral phases. Unexposed melt inclusions require more complex acquisition and data reductions procedures. Zircon and monazite U-Pb isotope dating is routinely performed using laser beam diameters ranging between 20-60 µm. 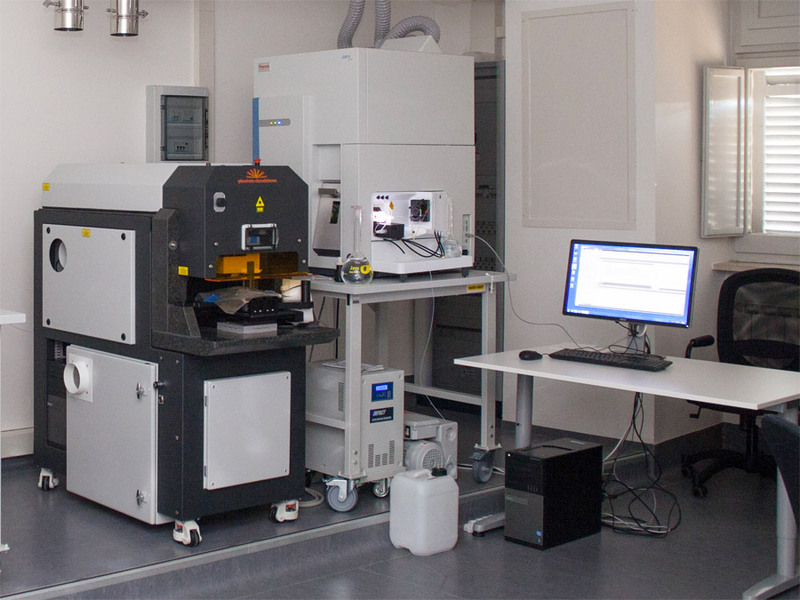 A matrix-matched reference material (zircon RM 91500 and monazite RM 44069) is employed to correct for instrumental mass bias and laser induced U-Pb fractionation. 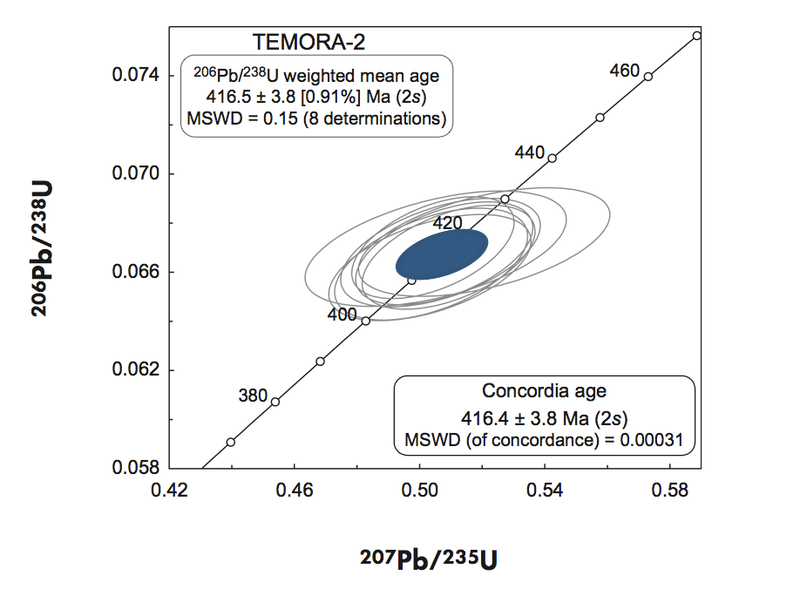 Using 20 µm beam diameters, accurate single spot 206Pb/238U ages, with precisions generally better than 5% (2s), are achieved on zircons and monazites as young as 30 Ma.